In case you were away or maybe hibernating or something, fabled Burlington punk club 242 Main closed its doors with a blowout show last Saturday, December 3. The jam-packed, daylong punk fest at the venue brought to an end — at least for now — a 30-plus-year run as the oldest all-ages punk club in the country. While there was much to both celebrate and mourn surrounding 242's closing, another narrative emerged in the days leading up to the final show. On Friday, December 2, local musician and Seven Days freelance music writer Amelia Devoid posted a provocative edition of her weekly Playtime column on the 7D arts blog Live Culture. In "Playtime: 242 Main — Farewell to the Boys' Club," Devoid offered a different perspective on the end of the 242 Main era than previously had been heard in public. Specifically, this was "the experiences of the young women who bravely navigated the overwhelmingly male-dominated culture that thrived behind 242 Main's doors." In the post, Devoid relayed her own experiences, and those of friends, of coming of age at 242 Main. You should read the entire post, but to summarize those experiences briefly, it was a bittersweet mixture of counterculture acceptance and awakening cut with unseemly, bordering-on-lecherous and intimidating behavior from certain male counterparts. As Devoid wrote in her conclusion, "It was the first place I worked door admission and the first place I got punched in the face for being in the way of male aggression. It was the first place I felt empowered to participate in a community and the first place that inspired me to advocate for my sisters to feel safe and included." Devoid's essay inspired a wide-ranging discussion, both in the comments of the post itself and on social media. Many were grateful to her for giving voice to an issue that is often overlooked or hushed up in rock-music circles: the common mistreatment and marginalization of women. Others felt her writing was narrow in focus and painted an incomplete portrait of the club and its legacy. It's no secret that women face obstacles in music that men don't, whether that's overt harassment or more subtle micro-aggressions. And this is equally true for people of color, members of the LGBTQ community and anyone else who is not a white, straight male. While it may sadden and shock many to hear those stories issued from inside the hallowed walls of 242 Main, it should not come as a surprise. Sexism is as rampant in music scenes as it is everywhere else in America, and it has been for a very long time. Despite its noble founding ideals of inclusion, 242 Main was no more immune to the encroachment of sexism than any other venue in any other city. But while it's not unique to the club, it's a problem that needs to be acknowledged and discussed honestly. Devoid merely opened the conversation. She used 242 Main as the fire starter because that's where her brushes with sexism and predation in music were first and most keenly felt. Those criticizing her writing as narrowly focused have a point. It was not a balanced account — though Devoid did make a point to praise the many upstanding men she also encountered at 242 Main. I don't need to defend her writing — she's more than capable of that herself. But as the editor who published the story, I do feel obliged to say this: Her account was the balance. Reams have been written in praise of 242 Main, and rightly so. Hopefully even more will be written if and when it reopens. But in all of those paeans to the club, the perspective that Devoid voiced was absent. I know this because I wrote a lot of those pieces. She rightly pointed to my own January 2015 cover story on the history of 242 Main as lacking much female input beyond that of the club's original matriarchs, Jane O'Meara Sanders and Kathy Lawrence. I could and should have dug deeper into that story to present a more diverse array of perspectives. Those most aggrieved by Devoid's essay issued a common criticism. Namely, that she was off base because many women did not have the unfortunate experiences Devoid and her friends described. Some went so far as to dismiss her feelings and experiences as isolated, or even untrue. That's a dangerous brand of willful ignorance and blind protectionism. Just because the majority of experiences at 242 Main were positive doesn't mean that they were for everyone. It is the duty of all who have a stake in the scene at large to pay proper consideration and attention to those who tell us they feel marginalized, to do something about it, and, most of all, not dismiss or shame them. We all need to do better, myself included. And that starts with listening. We're music fans, right? Listening should be the easy part. Here's a sentence I've wanted to write since I took this gig almost 10 years ago: Brett Hughes is making a record. The local country crooner and primary architect of Honky Tonk Tuesday at Radio Bean has, for one reason or another, never released a solo album. And that, frankly, is a crime in which we listeners are the victims. Not only is Hughes one of the busiest musicians in town, gigging almost nightly, he's also one of Burlington's finest songwriters. 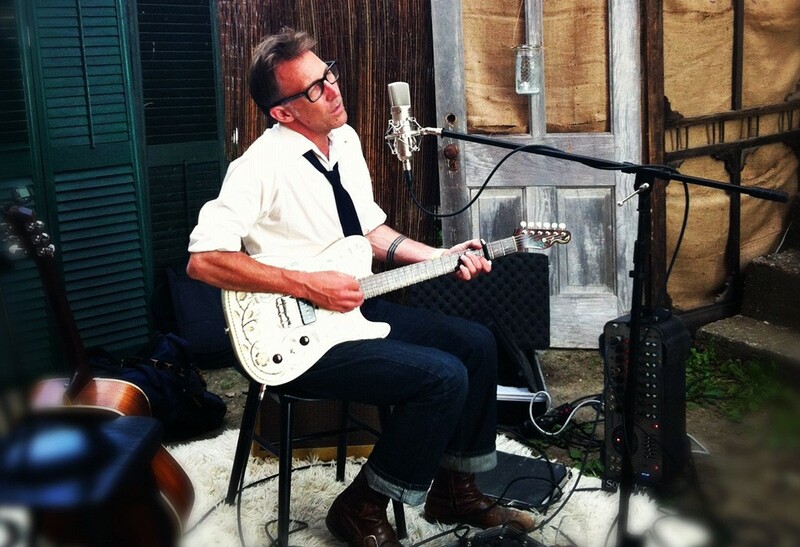 This winter, Hughes plans to escape to Nashville and record with songwriter and producer Felix McTeigue. Until recently, McTeigue called southern Vermont home, which is how he and Hughes connected. But he picked up for Music City when pop-country stars Florida Georgia Line scored a 2014 hit with a song he cowrote called "Anything Goes." Point is, dude is connected and knows his way around a studio. This Saturday, December 10, the Brett Hughes Trio, which includes Hughes, pedal steel whiz Brett Lanier and bassist Pat Melvin, will play an album fundraising concert as part of the ongoing Billsville House Concerts series in Manchester — for details, check out Hughes' page at bandsintown.com. If you're unable to travel south, fret not. Hughes being Hughes, he's playing a bunch of other shows this week, including two on Wednesday, December 7, at Citizen Cider and the Light Club Lamp Shop in Burlington, the latter with Chad Hollister. And he'll play two shows on Friday, December 9, at the Stowe Mountain Resort and Juniper in Burlington. Also, Hughes is the (nonmusical) guest on Thursday, December 8, at the Daily Grind, a weekly improv show at the Vermont Comedy Club in which the VCC long-form improv team, the Unmentionables, will interview the songwriter about his past jobs and then (gently) make fun of them. Last but not least, we're officially in the holiday season, which means one thing: fun holiday shows! Here's a quick glance at some holiday-themed shenanigans on the club scene this week. On Thursday, December 8, the Monkey House in Winooski hosts its annual Happy Hour Holiday Pop-Up Shop. Browse cool local craft stuff while boozing and listening to tunes from DJs Disco Phantom and Peaches. Also on Thursday, local singer June Morse leads a Christmas carol sing-along at the Whammy Bar in Calais, which sounds downright nice, doesn't it? 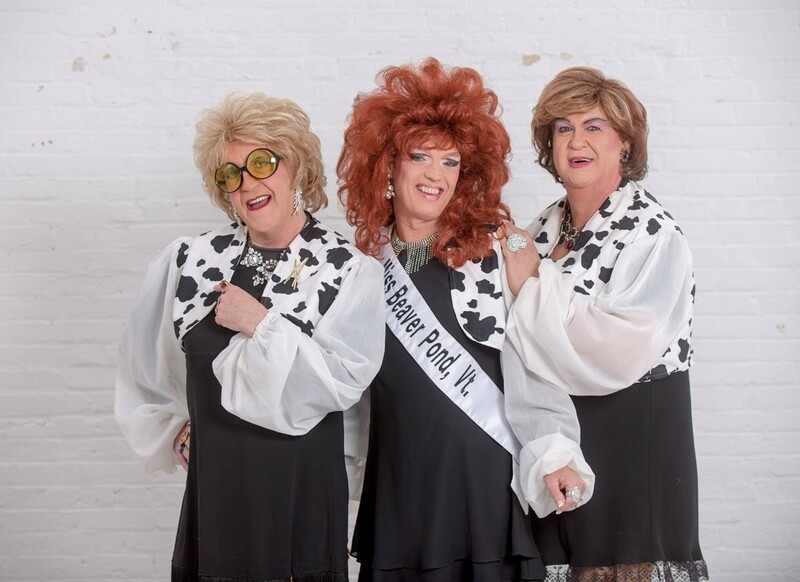 But if naughty is your thing, maybe try the lovely ladies of the House of LeMay, who host a comedic drag show, Another Beaver Pond Christmas, at the Vermont Comedy Club on Sunday, December 11. And if you still haven't had enough yuletide yucks, check out the Cringe! Holiday Humiliation show at the Monkey House on Tuesday, December 13. (See story).